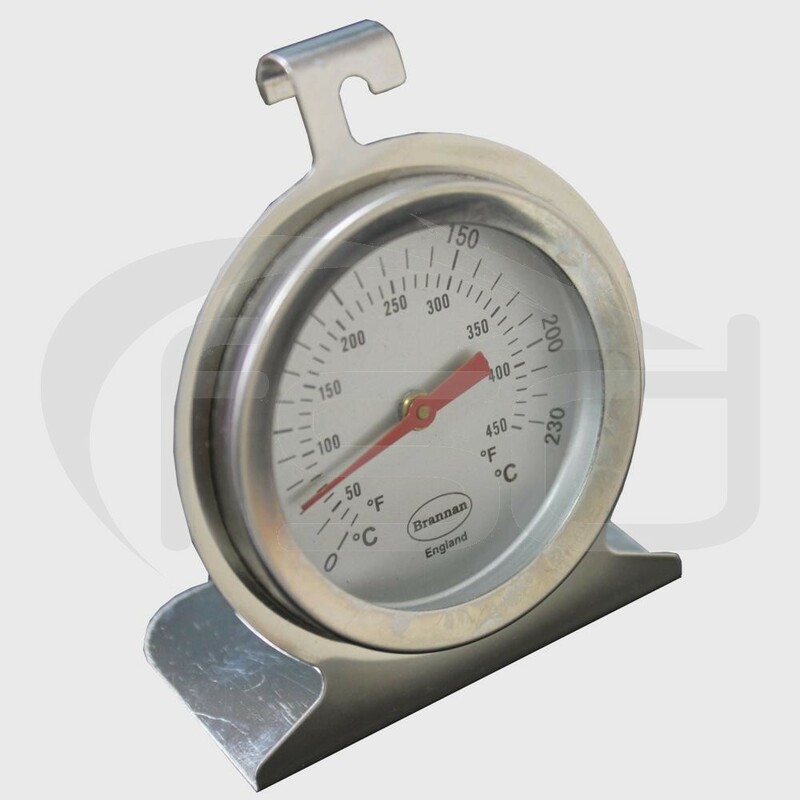 Stainless steel oven thermometer features a 50mm diameter dial. The oven thermometer measures temperature over the range of +0 to +230°C (up to 450°F) in 10° divisions. Has both °C and °F scales. The thermometer's stainless steel casing measures 30 x 60 x 85mm and incorporates an integral hook. This enables the thermometer to be hung from a shelf, alternatively the unit can be free standing.